Good aquarium maintenance practices will lead to a healthy aquatic environment and thriving fish, providing you with many years of enjoyment. If you are new to the world of aquarium ownership, there a few basic guidelines that you can follow to ensure that your fish are happy and healthy. In this month’s article, the custom aquarium construction and maintenance professionals at Normal Aquatics have compiled a list of aquarium maintenance tips and fish care guidelines that you can follow, which will make your experience as an aquarium owner a fairly simple task and free of trouble. Acclimate your fish to their new environment. When introducing a new fish to your aquarium, it is important to take the proper steps to acclimate them to their new environment in order to reduce stress levels, which can lead to disease. The most basic method of acclimation is to turn off aquarium light and lower the lights in the room, float the bag in the water for approximately 15 minutes, open the bag and introduce a little bit of water every 5 minutes, and then introduce the fish into the tank. Allow sufficient space for your fish. 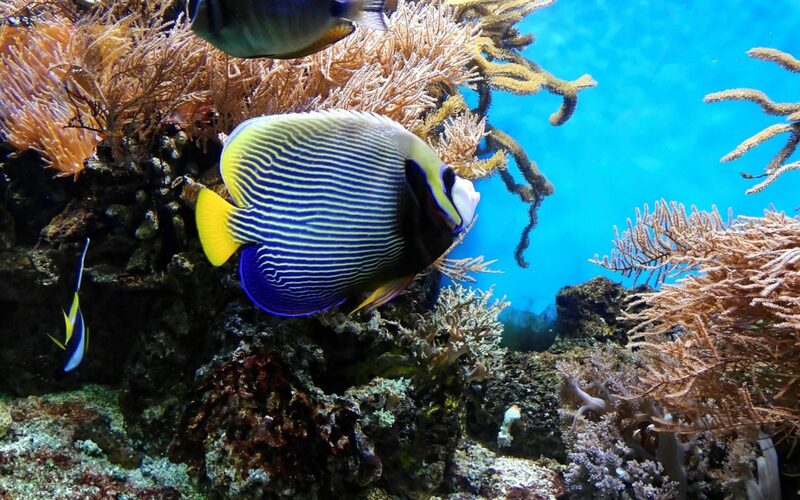 Overcrowding your aquarium with fish can cause low oxygen levels in the water of your tank. It can also lead to great levels of waste, which can obstruct your aquarium filter and degenerate the quality of your water. Also, many fish have territorial tendances, which can cause death. Time-consuming and potentially costly issues can be avoided by taking the proper measures of precaution and performing the necessary ongoing aquarium maintenance. by spending thirty minutes on maintenance every other week. Based in Connecticut and serving customers throughout the tri-state area, Normal Aquatics provides custom aquarium design, construction, as well as maintenance services. A custom aquarium setup by Normal Aquatics will leave a lasting impression on guest to your business or home and provide you with countless hours of enjoyment. Contact us today to scheudle your no-cost estimate and consultation!